When an abortion happens in the later part of pregnancy, 20 weeks or more gestation, it is an arduously long and painful process, often done by D&E (dilation and extraction). In the simplest of terms, the fetus is crushed and dismembered by the abortionist’s instruments and then removed out of the mother. This can take more than one day and is a very expensive and risky procedure. While the 1973 Supreme Court decisions of Roe v. Wade and Doe v. Bolton allow abortion for any reason throughout all nine months of pregnancy, most states have tried to limit this to viability. New York took a gigantic step forward though, codifying Roe and Doe and permitting abortion until birth, long past the viability of a fetus. 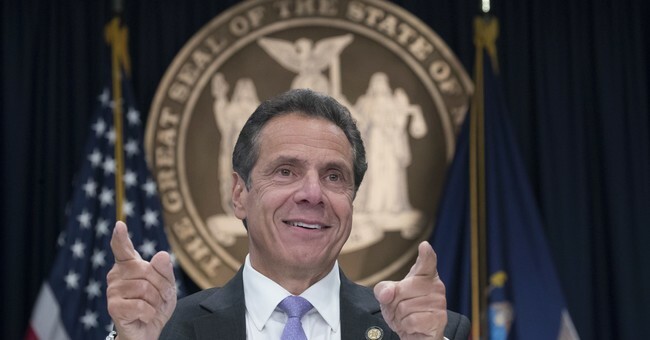 Governor Andrew Cuomo signed the legislation surrounded by women cheering for the right to dismember and tear apart babies in the womb. It was a sad image, especially viewing it as someone who used to be one of those women, as someone who ran my own Planned Parenthood clinic and sold abortions better than a timeshare agent ever could. Abortion was always pushed where I worked from the highest levels down because it’s a moneymaker. Women and their unborn babies are seen as dollar signs. Empowerment means telling them “no, you cannot have this baby and still go to school or have a career; abortion is your only option.” Abortion is an easy sell, especially in states like New York where there are few, if any obstacles, to having one, and where the cost of living is high. Minority women especially suffer in New York, where there are more black babies that are aborted than born. The impact of abortion on black women is frankly unfair. Black mothers in New York aborted at more than three times the rate of white women. Where is the support these mothers need to keep their babies? The New York law won’t just harm minorities; it will harm all women who seek to terminate their late-term pregnancies. According to the Guttmacher Institute, just over one percent of all abortions are on fetuses past 20 weeks gestation, which equals about 13,000 late-term abortions. Some of these children are viable and can live outside the womb and every single one has infinite worth. The advocates of the New York law - and late-term abortions in general - always say women should be able to terminate so late in their pregnancies because of fetal abnormalities. And the stories of women who do choose this option are just heartbreaking. But even though that’s the national narrative of late-term abortion reasoning, it’s not the main reason why women choose abortion so late in pregnancy. Guttmacher released a study in 2013 that named the most common reasons why women chose abortion late-term: not recognizing they were pregnant, issues with the father, financial constraints, depression and/or use of illicit substances, and indecision. Another thing about this particular law that makes it so egregious is that these dangerous abortions are not required to be done by a licensed physician. Even licensed doctors have killed women during late-term abortions as the complication risk is high. Women who abort late-term babies are at an increased risk of mental health issues, depression, suicide, hemorrhage, organ damage or loss, and infections. New York is further endangering women by refusing to demand a licensed physician perform the abortion. Plenty of abortion facilities around the nation have been cited for such infractions against their patients (inspection reports available here). This law is a farce to allow more abortions and easy access to a more risky and expensive procedure for women. While I did not work in a late-term abortion facility, I know many women who did, and many former abortion workers will tell you that the abortion facilities often had under qualified staff helping with the abortion procedure, which was risky. But it made money. This is the opposite of empowerment for women. The entire abortion movement strips women of empowerment, dignity, and feminism. The location of the baby is the only difference between life and death in New York now. One mother will hold her newborn infant in one room of a hospital while another infant, perhaps only days from birth, lies lifeless in another room at the hands of an abortionist. I hope this law is reported on far and wide, that Americans learn exactly what a late-term abortion is, that questions are asked about what this procedure entails, that the reality of this gruesome and vile procedure is exposed. That is ultimately how I left the abortion industry - I assisted in an ultrasound guided abortion and saw firsthand how the baby fought against the medical instruments that ultimately took its life. I walked out of the clinic and never looked back. May all of us wake up to the truth that life exists in the womb and it deserves to be protected.